Whether you’re an experienced employee seeking a new career, or about to enter the workforce without a clear idea of your ideal profession, you can’t go wrong by volunteering. Volunteering may not directly pay the bills, but have you ever thought about volunteering your way into a career that you’ll love? It’s 2019, and simply sending out your resume for just any old job that looks interesting isn’t going to cut it. But don’t worry. I’m about to let you in on an untapped strategy secret: the power of volunteering as part of your career development. Here are five high-value, low-risk advantages to help you discover your ideal career through volunteering. 1. Expand your networking: not only will you meet an entirely new group of people as a volunteer, usually you’ll be in a friendly environment without a lot of pressure. This frees you to relax and be yourself with people who share your interests. You can make more meaningful connections, and have more genuine conversations, than are sometimes possible at formal networking events. 2. Discover your volunteer personality: the more you understand yourself, the better you can home in on a volunteer opportunity that will help you discover your dream career. A good place to start is with the Myers-Briggs test. You’ll discover your strengths, your communication and learning styles, and the type of training you may need for the career you desire. 3. Receive free training: And speaking of training, when you volunteer you have the opportunity to receive free training that may otherwise cost you hundreds or thousands of dollars. 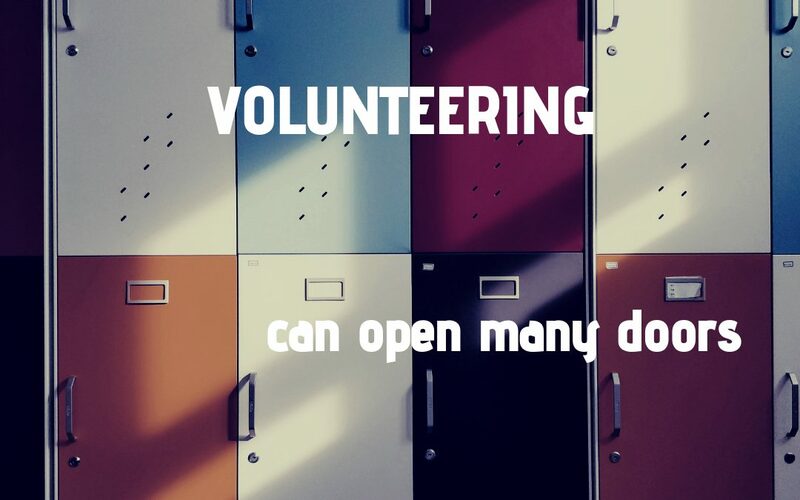 If your idea of volunteering has been limited to stuffing envelopes or answering phones, good news! You could learn how to design a website, manage a project, or become a top-notch fundraiser. The list is endless. 4. Get early access to employment openings: because you’ll be a part of an organization that’s hiring, you’ll have become known to a group of people as someone reliable and competent. When job openings become available in your organization (or one in its network), you’ve got people who will vouch for you. Employers often go with someone known to them, even over someone who on paper is more qualified, so you’ll have a definite advantage. 5. Test your purpose: Eleanor Roosevelt said, “The purpose of life is to live it, to taste and experience to the utmost, to reach out eagerly and without fear for newer and richer experiences.” If you already know your life purpose, excellent! What better way to put it to a test than to volunteer in the field you’ve chosen? And if you haven’t yet had the opportunity to discover your purpose, there are ways to uncover it so you can learn which organizations might be a good fit for your talents and passion. When you infuse your life purpose into your chosen volunteer work – well, look out, world, you’re going to be on fire! See how volunteering can propel you down the path to your ideal career? Yet it’s often overlooked by people when they are deciding on a profession. If you spend a significant amount of time wondering “I’m not sure if this is the right career choice! What if I hate it?”, I feel you. Choosing a profession is a huge commitment. You can’t afford to take a shot in the dark, fingers crossed, hoping for the best. There are so many different organizations with a wide variety of opportunities within them, you may find to your surprise that it’s hard to choose because of the abundance. And isn’t that a lovely spot to be in? Give your choice a chance without risking everything. Even if you realize you made a mistake, the worst that’s happened is you’ve given up some of your time and effort and probably made a few friends on the journey. But along the way you’ve made a difference to someone else’s life. You’ve gotten to know yourself better. Volunteering extra bonus benefit: Actively being a good person and making a positive impact in your own life and many others! Raz Coaching specializes in helping people with executive function challenges associated with ADHD, PTSD, Stress, TBI’s and ASD find careers they will love and land them. Read more at www.razcoaching.com/about Or sign up for the weekly blog and learn about my new book Happiness+Passion+Purpose.